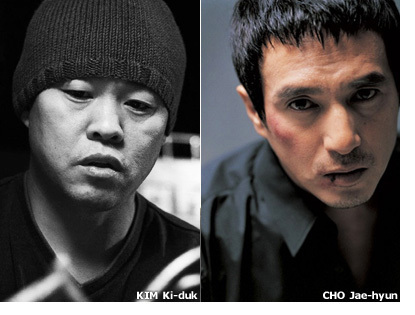 KIM Ki-duk and his on-screen alter ego CHO Jae-hyun have worked together again for the first time in 12 years. Möbius, directed by KIM and starring CHO, was shot for about two weeks earlier this year. SEO Young-joo, who received praise after starring in Juvenile Offender, appears in the film as well. The last time KIM and CHO worked together was 12 years ago. CHO has been called KIM’s on-screen persona as he has acted in several of his films such as Crocodile, Wild Animals, Address Unknown and Bad Guy. But they haven't worked together since Bad Guy. Yet, they have seen each other off of screen. Last year, they were both at the Venice International Film Festival, where KIM won the Golden Lion with Pieta. They also attended a number of official events held in Korea. KIM’s Pieta was ranked at number 31 in The Washington Post's Summer Movie Guide 2013 .